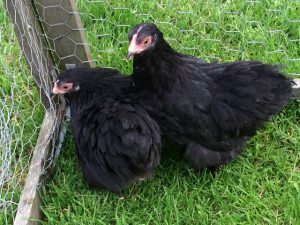 Male and female plumage: Rich sound black with lustrous beetle-green sheen throughout, free of white or coloured feathers (Note: some light under colour in adult males is permissible as long as it does not show through). 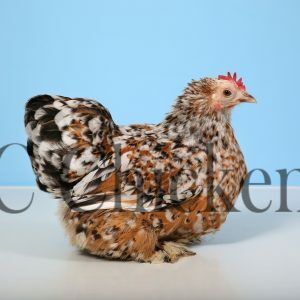 This breed bird will lay around 90-95 a year and if the hen has babies a little less. All chickens go threw a molt this will stop till this process is complete and bird gets feathers back then the hen will continue to produce With each year your birds molt they produce less and they do this yearly Starts around 22-24 weeks till the hen stops for good and in winters they may either slow down or stop totally birds need 14-15 hours a day for egg production. 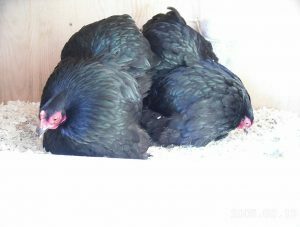 In winter it may be to cold for hens to lay eggs with a light maybe add some heat for your birds ??. 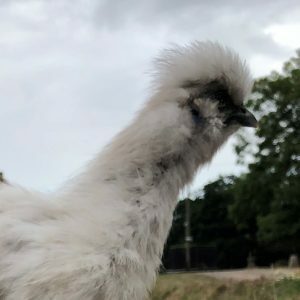 The first Pekins seen in Britain were imported in the 1860s following the looting of the Summer Palace in Peking during the Anglo-French Expedition. We are unsure why the “g” was lost from the end of the word but today the correct spelling is “Pekin”. 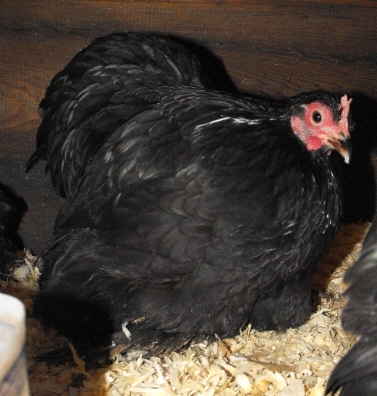 The Pekins brought over to Britain were Buff, which were said to be pets belonging to the Emperor of Peking. Following their great popularity further colours of Pekin were imported from China over following years, these being black and cuckoos. 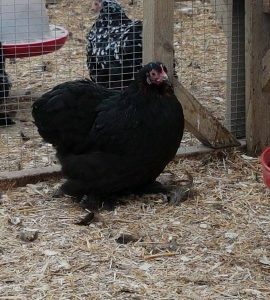 Over the years many breeders took the Pekin on in their breeding programmes and by crossing a black Pekin with a white Booted Bantam, white Pekins were created.